Major events, national seminars and new members, on Rombet's successful agenda in 2017 - Casino Inside - The gambling industry magazine! In the field of gambling which is constantly changing, both legally and fiscally and in terms of technological innovations and development strategies, Rombet, which now has more than 50 members, consisting of national and international companies, has continued and developed its activity during this year that is coming to an end through the multitude of events during which the Rombet management team has successfully represented the members of the association, as well as through the series of free information seminars that have also been very successful in 2017. Rombet started the year strong in February, by participating in the most successful edition of ICE Totally Gaming so far, which gathered over 500 exhibitors from more than 60 countries and regions, the event this year being the largest in history with more than 40,000 square meters of exhibition space.The conditions for the exchange of information and ideas were created, and the Rombet representatives had the opportunity to emphasize once again the openness and the advantages that foreign investors can find on the local gambling market. “BMM Testlabs, Kiron Interactive, Newton, EveryMatrix, BetConstruct, Scientific Games, Playtech, Mohio Gaming Competence, Vermantia are just some of the exhibitors that received special attention from us. 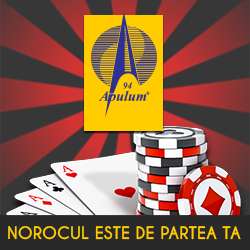 We talked extensively about business development, the Romanian legislation, and the prospects for the year 2017, and in all discussions we have emphasized that those interested in the gambling market in our country, both those already present and those who plan to come in the near future, will find in Rombet all the support for legislation, taxation, partners, etc.”, said the president of the association, Mr. Dan Alexandru Ghiță about participating in the most important gambling event in Europe. In May, in Prague, during the EGR Online Gambling Briefing, Eastern Europe, Mr. Bogdan Coman, Managing Director of the Rombet Association, spoke in the panel titled “Building further: diversification and innovation in Central and Eastern Europe”, emphasizing that at least for the near future in our country, online activities will remain connected to offline activities, both in terms of current legislation and the strategies of operators who adapt their offers in the online environment, promoting the most successful products of the land-based environment. Innovation and legislation were also discussed at the Euromat Gaming Summit, which took place in June in Berlin, where Mr. Dan Alexandru Ghiţă, President Rombet, had the opportunity to sit with more than 500 important representatives including Alexander Graf Lambsdorff, Vice-President of the European Parliament. Wishing to provide its members with quick and easy access to the most important news in the industry, the Rombet team went to London in September where two extremely important conferences took place: World Regulatory Briefing and Betting on Sports, the first of which involved discussions on the theme of Responsible Gaming. At the event organized by Rombet’s long-time partner, Clarion Events, Bogdan Coman, the CEO of the association, had the opportunity to participate in very interesting panels, supported by prominent speakers such as the Chief Executive of the UK Gambling Committee and the representatives of some of the most successful companies in the industry (Skybet, Mr. Green, Betsson, Betway, etc.). And, whether they were talking about perceptions, strategies and legislation, or about concrete examples and the results of the RG projects, there was a single conclusion: responsible gaming must receive the attention it deserves. “As if it were still necessary, the London event once again reinforced the idea that organizers and legislators alike must work together if we want a healthy industry with balanced players. We hope that we will also contribute to this goal”, Mr Coman said. Internationally, this year ends with the Rombet team having been present at 3 other major events: CEEGC – Budapest, EiG – Berlin and EEGS – Sofia. In Budapest, Rombet’s Chief Executive had the opportunity to moderate the panel entitled “Gambling Opportunities in the Balkans”, where, together with famous guests such as Mirjana Acimovic (Jakta & Euromat) and Hrvoje Vincetic (Adriatic Casino) the prospects of the gambling industry in the region were discussed. From Berlin, the representatives of the association returned with the message to incorporate the new technologies in the operators’ development strategies as much as possible, important names in the field such as BetGames TV, BtoBet, Twispay, Betgenius being just a few of the companies that showed interest in joining Rombet in the near future. If the international presence of the association was very intense, Rombet was also extremely active locally. The year 2017 brought no less than 12 new members and 9 free seminars, organized both in the capital and in the country, and the representatives of the association did not miss the most important event dedicated to the gambling field in our country. Rombet participated, in September 2017, in the 11th edition of E Arena 2017, the exhibition being a real success, and the Rombet team gladly welcomed at the exhibition stand of the association the intentions of companies established both in Romania and in the European region, especially the Balkans, to join Rombet. “The great number of attendants at this year’s E Arena is proof of a mature industry that aims for – and at least to date, succeeds in – a constant and permanent development. As far as our role is concerned, Rombet acts as leverage for our international partners, enabling operators in other markets to access free information so that their licensing process in Romania is as easy and fast as possible”, said the association’s representatives. Rombet representatives also invited the operators working in our country and interested in a correct understanding and application of the legislation in force to a series of seminars on various topics of interest this year. One by one, in Bucharest (February and May), Oradea and Bistrița (March), Iași (May) and Timișoara (June), Mr. Anchidim Zăgrean, vice-president of Rombet and an expert with over 15 years of experience in the field, spoke extensively about the “Fiscal Code News” and the “Tax and Accounting of Gambling, Theoretical and Practical Issues” to an audience that was very interested and eager for information. “By these information seminars, where participation is not only free of charge, but is also not conditional upon membership in the association, we, Rombet, propose two important things: those involved in gambling should be kept up to date with all changes in the regulations applicable to the field and the application of the legal provisions should be done in a correct manner, observing the specifics of this activity”, said Mr. Anchidim Zăgrean. And, if the first part of the year was dedicated to information and education, the three seminars this autumn, held in Cluj, Iași and Bucharest, debated the theme “The organization and control of gambling and the consequences of non-compliance with legal provisions.” The participants, in great numbers each time, had the opportunity to discuss and ask questions on other topics of interest such as “joint venture” and “news regarding the Fiscal Code and the Code of Fiscal Procedure”. “Accurate presentation, concise information, and professionalism are just a few of the words that those present at our events used when we asked them to give us feedback after attending these seminars. Such feedback, the growing interest from organizers and beyond, as well as the need for those working in the field to be informed, have urged us to continue the series of seminars. Such initiatives are needed if we want our industry to grow further and attract the interest of foreign operators. We, Rombet, have invested a lot of energy and resources in the recent years and will continue to do so by participating in international and national events, organizing information seminars and representing our members in the relationship with the ONJN. For a strong industry, strong players are needed, whether operators or associations, and Rombet aims to strengthen its status as the largest association in the field of gambling in 2018”, concluded Mr. Dan Alexandru Ghiţă, the Rombet Executive.